Congratulations to Laura aka @soonergirl_1976! 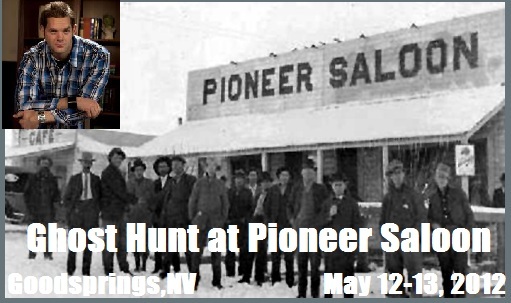 You have one an event ticket to the Ghost Hunt at The Pioneer Saloon & Ghost Town in Goodsprings, NV! More contests and giveaways to come in the near furture. Thank you for following, liking and participating in Fact or Faked Fan website and pages. When the contest is posted on Fact or Faked Fans Facebook Like Page, share the post (publicly) on your facebook wall. 1 share = 1 entry. If you include the contest on your website/blog, send me the link, and that will count as an entry into the contest. You can email the link to: submit@factorfakedfan.com or tweet me at @FactOrFaked. The small print: Contest ends on Sunday, April 15, 2012 at 9 p.m. eastern. Tweet must be sent to your twitter followers. If @FactOrFaked is first in the tweet that is not sent to your followers and will not be considered an entry. One tweet = one entry. Your tweet needs to include @FactOrFaked and the link to the contest page. If entering via facebook, you have to share the post publicly otherwise I can't tell who shared it. Winner must be able to attend the event in Goodsprings, NV on Saturday, May 12th, 6 p.m.-Sunday, May 13th, 2012 2 a.m. Winner will be notified on Sunday, April 15th, 2012. The winner will receive their e-ticket via D-mentd Entertainment.